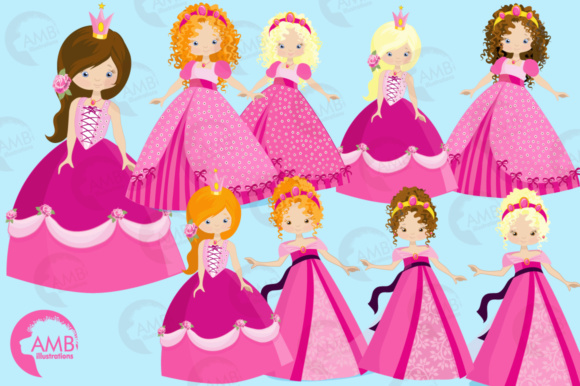 9 Cliparts of Princesses all dressed in pink! 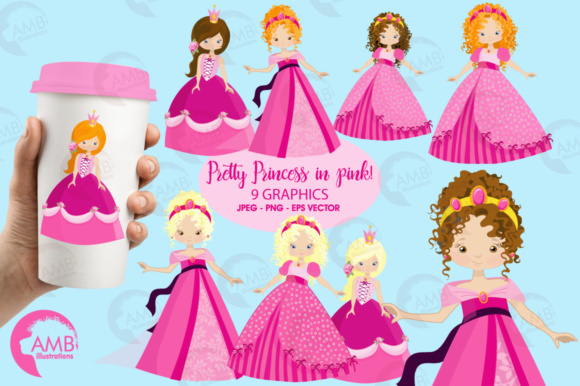 With 3 blonds, 3 redheads and 3 brunettes perfect for all your invitations, cards or parties! 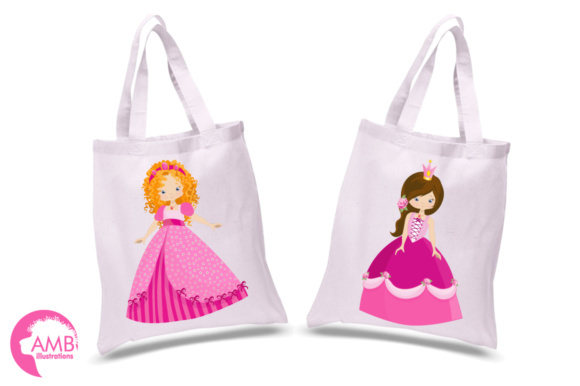 Great for girl birthday parties, scrapbooking, girls bedrooms and more. 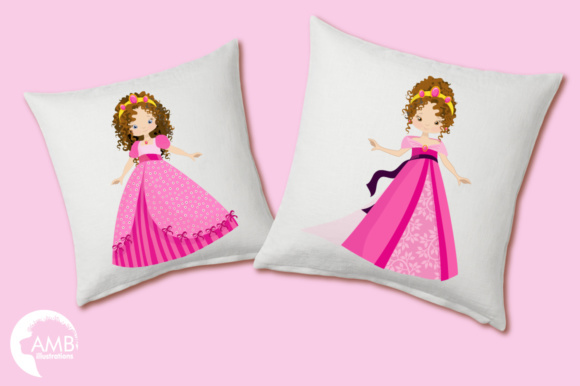 All the clipart and designs are original and high quality. 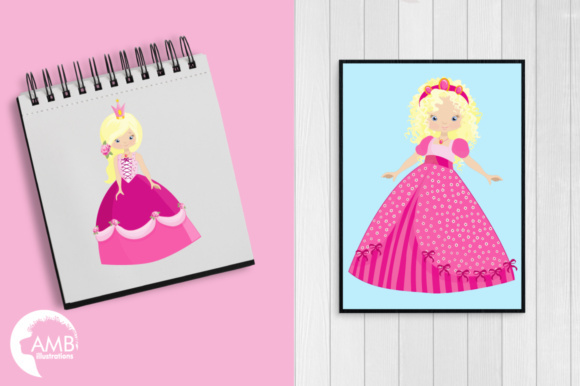 – Each clipart saved separately in 6” x 6” 300 dpi PNG files, transparent background.- Each clipart saved separately in 6” x 6” 300 dpi JPEG files, white background.